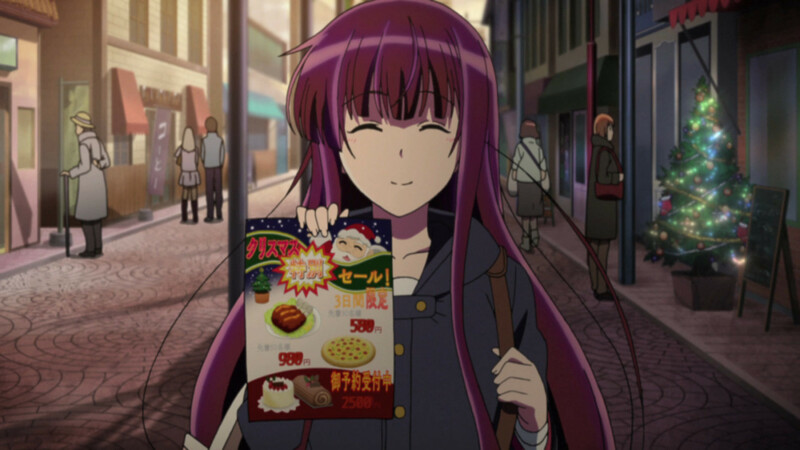 In the spirit of the holiday, Sentai counts down our ten favorite anime Christmas episodes! All you have to do is click on the image to see the episode for free! Rinne and the others get trapped in a derelict haunted house that refuses to release them until Christmas is properly celebrated within its walls. With the fried chicken bucket outside of the barrier and only one piece of cake, it looks like it will be a dismal Christmas… kind of thing. It’s a Light Music Club Christmas Party! The girls of After-School Tea Time plan a perfect night of eating Christmas cake-ee, exchanging presents, and performing party tricks. The iconic Super Sonico dons a Santa girl outfit to celebrate the season, and the girls work together to put on a concert to save the shopping district! In the spirit of giving, cute girls, protecting small businesses from corporate department stores, and learning certain truths about Santa Clause, this episode is a perfect way to celebrate. A serial killer is loose in the world of Elder Tales, dampening what should have been a festive holiday mood. 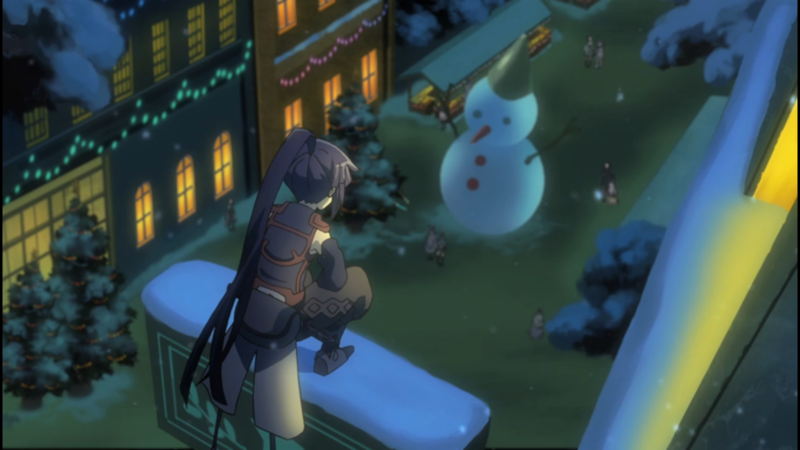 With typical Log Horizon style action against a backdrop of snow and holiday décor, this episode helps you feel festive without sending you to the cathedral from Christmas feels. Umaru’s hamster hood sports festive antlers, Taihei and Bomber wear Santa suits, and the cast gets to spend a snowy Christmas under a warm kotatsu. Ahh… bliss. And cola. 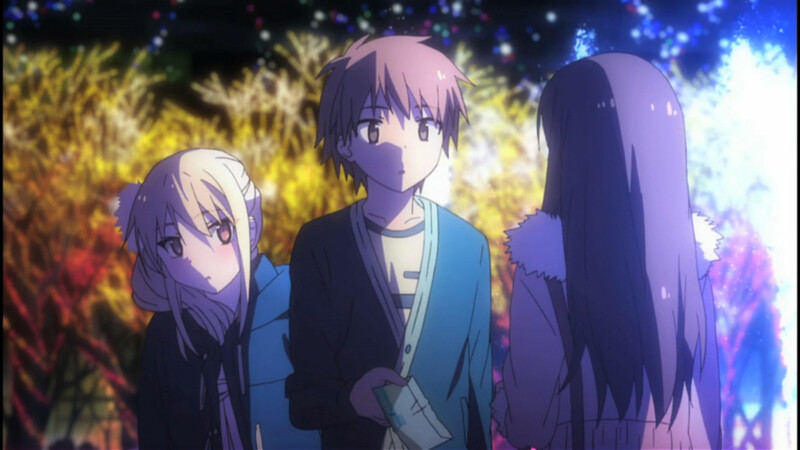 The residents of the co-ed dorm Sakura Hall evaluate their relationships with each other on a cold Christmas night. This episode is also rich in colorful Christmas lights and lovely flurries of snow! It’s Cocoa’s first time in the town’s Christmas market, and her reaction pretty much embodies what the rest of us are feeling. The town is decked out in lights, garlands, ornaments, and more, and the girls spend the episode decorating their respective cafés. 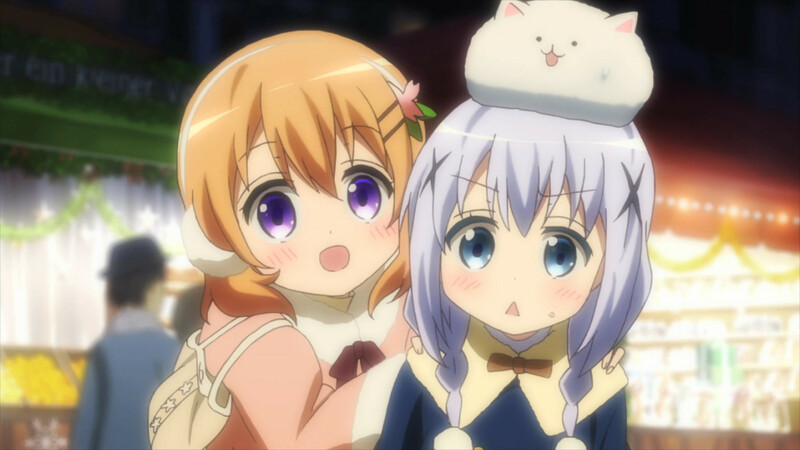 Meanwhile, Chino might be getting a visit from Santa? Re-Kan! Is a supernatural-slice-of-life-comedy that follows Amami, a girl who sees and befriends ghosts. By the time Christmas rolls around, her human friends already know that she’ll be devoting a lot of time giving presents to her ghost friends… little do they know HOW generous she’s planning to be the dead. 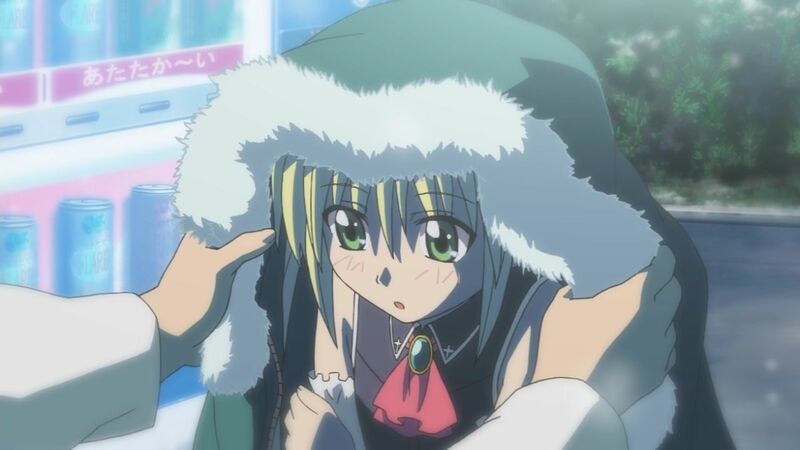 Hayate’s story kicks off with a Christmas episode! Enter a condescending Santa, a broke but abnormally athletic boy, and a dramatic rescue, and you’ve got the first episode of a wonderfully ridiculous series which liberally breaks that fourth wall. 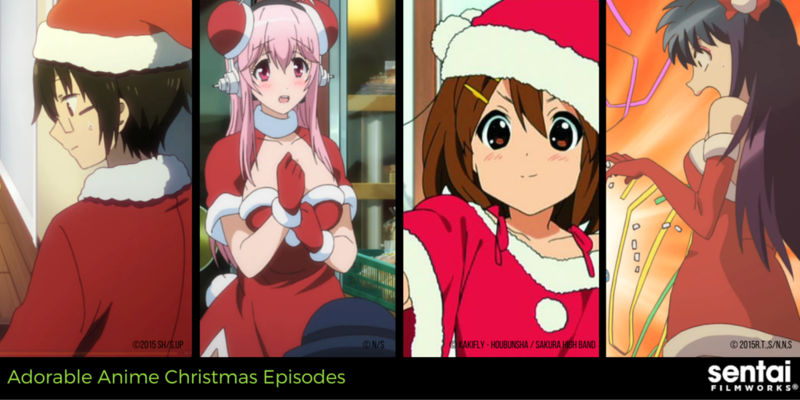 Celebrate the Season with Sentai Filmworks!